Listen to this piece on VPR.net. This time of year, many Vermonters are thinking about signing up for a CSA share at their local farm. 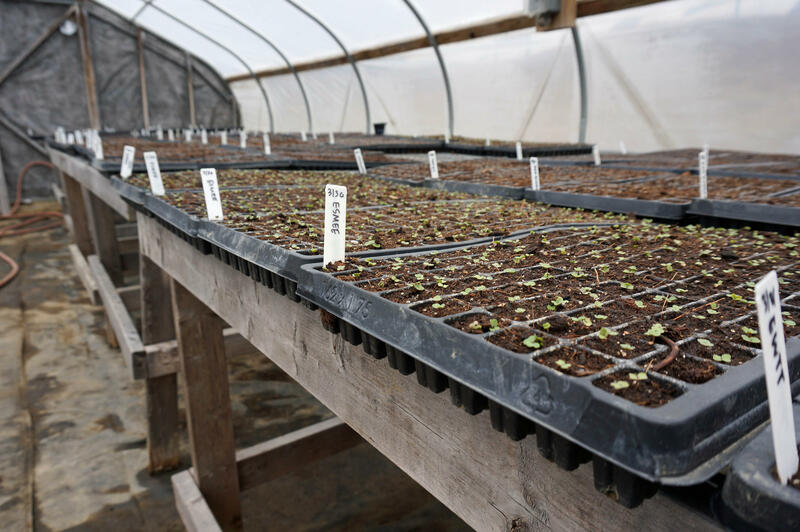 Meanwhile, the Vermont Youth Conservation Corps is getting ready to supply a different type of Community Supported Agriculture – one you pick up at a doctor’s office. Driving on Interstate 89 through Richmond, it’s hard to miss the Vermont Youth Conservation Corps’ twin red monitor barns. What’s tougher to see from the highway though is the youth-run farm nestled between those barns. With high school still in session, most kids won’t start work at the farm for another two months. But the growing season is already underway. Ruby Bertola, 23, says they started planting seeds in the greenhouses last week. Teenagers and twenty-somethings grow 10 acres of vegetables here each summer, and tend to chickens, pigs and a small herd of resident cows. Once harvested, all those onions — and other fresh vegetables — will be divvied up among CSA shares. But unlike the CSA you might sign up for at your local farm, these shares will be delivered to doctors’ offices. 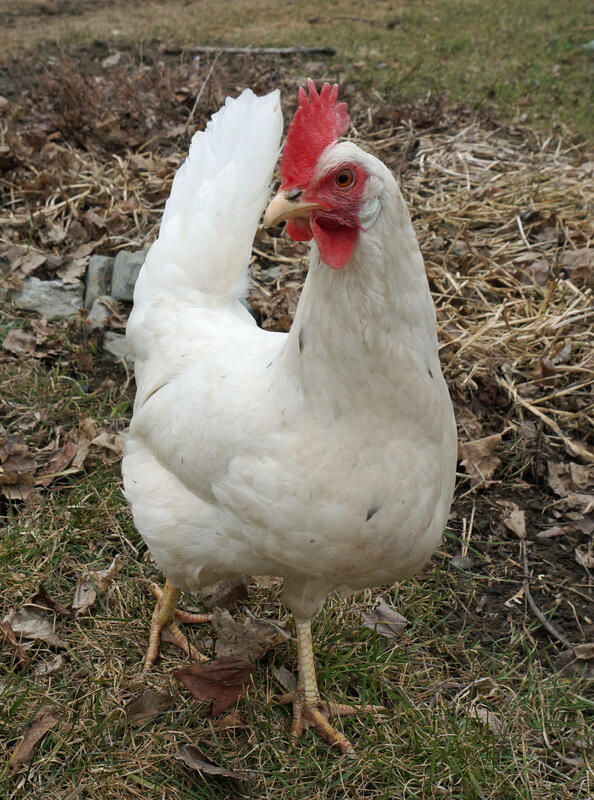 A substantial flock of laying hens live on the VYCC farm in Richmond. Their eggs are sold at the farmstand, and help to support the Health Care Share program. They’re called Health Care Shares, and they’re prescribed by doctors for Vermonters who either suffer from diet-related illnesses or are experiencing food insecurity. “So, on one hand it’s a public health program. And, on the other hand, it’s a job training and workforce development program,” explains Paul Feenan, the VYCC Food and Farm Program director. The weekly shares start in July and include 12 pounds of organic produce. Feenan says much of it is familiar, kid-friendly vegetables that can be eaten raw. Feenan says the Health Care Shares can also be tailored for people with specific health problems, such as diabetes or heart disease. The Health Care Share program started in 2012 as a partnership between VYCC and Central Vermont Medical Center, and has been growing ever since. It was recently recognized by the national Corps Network as its 2018 Project of the Year. Knauft says the program is a particularly good fit for Vermont. Farm workers have already begun starting seeds in the VYCC greenhouses. While the program seems quintessentially Vermont, organizers say youth corps programs outside the state have expressed interest in replicating the Health Care Share model. In Vermont, VYCC is currently accepting applications from young people interested in spending part of their summer on the farm, as well as for other open positions on crews in VYCC’s more traditional conservation programs.